Founded in 1991, Zhejiang Chuangyi Optoelectronic Equipment Co., Ltd is a hi-tech manufacturer that specializes in R&D, production and sales of CATV transmission equipment for 15 years in Hangzhou, China. Our products are: 1550nm&1310nm Optical transmitter, Optical receiver, Optical node, Optical platform system, CATV trunk amplifier, Indoor/Outdoor taps, Indoor/Outdoor splitters, Connectors, Power inserter, Power supply, FM modulator and Indoor/Outdoor FM broadcast receiver and so on. 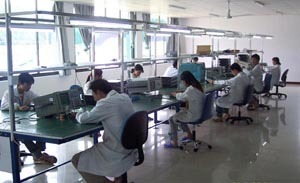 Chuangyi has been going on and became one of the largest CATV professional vendors in China. We are looking forward to establishing reliable relationship with you to develop a new market together.